In this article, we have assembled a brief rundown on some steps that people can take to help safeguard themselves and their loved ones against unpredictable and unfortunate circumstances that they may face in their old age. Keep reading to learn more. 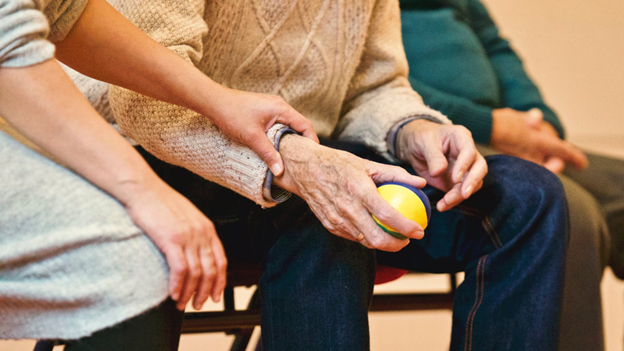 It’s may not be pleasant to think about but someday a loved one such as a child or a younger sibling may have to step in and make decisions about your care and living arrangement. Try to make things easy for them by practicing good organizational skills. The simplest way to Keep all of your financial information and other important documents and paperwork together in one place. It is also extremely beneficial to keep a clear list of all income and expense related to your household finances. For example, any savings or investments you may have, any properties you own and any debts you might owe. Knowing exactly where you stand regarding your personal finances is a must-do if you are to be prepared for the possibility that you need help managing your affairs. If a person happens to pass away without drafting a will, in most instances, the courts will specify how your assets will be divided amongst your living relatives. This means your assets might not necessarily go to the people you want them to go to after you’ve shuffled off this mortal coil. To ensure that your possessions and valuables go to the people who you want them to go to, It is a good practice to draft a will and state your final intentions for your belongings when you are gone. While it is possible to draw a will up yourself, even a tiny oversight or error could invalidate the whole thing. It is for this reason that we recommend seeking the services of someone who is well versed in estate planning, and the laws that govern it. It is worth noting however, that any will you draw up now might become invalid if you marry or remarry, so it is good practice to review and revise your will every 5 years. It is also beneficial to draft a living will. A living will is a document in which you can dictate how you would want your affairs to be handled if you are incapacitated or otherwise unable to manage them yourself due to declining health. There may come a time when you need to choose a family member or close trusted associate to whom you grant power of attorney. If it so happens that you are deemed to be without sufficient mental capacity to make decisions for yourself regarding finances, living arrangements, the person with whom you have entrusted power of attorney has the legal oversight to make those decisions for you. Should a time come when you require care that goes above a home health aid, reach out to qualified professional like Above and Beyond assisted living senior placement services. After you retire, the chances are more likely than not that you will live on a fixed income. This makes it of the utmost importance to plan ahead. A good idea when considering the financial implications of retiring is to make a retirement budget. Calculating how much money you’ll require monthly and annually is an important factor that you should not underestimate. Another very important aspect of budgeting for retirement is to pay off all of your debts before you retire. It may seem obvious, but it goes without saying: after retirement your ability to pay off debts will be greatly reduced compared to when you were working. It is best to pay off all outstanding debts prior to retirement in order to avoid any potentially devastating financial circumstances. These are just a few of the ways that you should prepare yourself for old age. There are other aspects to consider besides finance and estate planning. However, these aspects are among the most important precautions you can take to help you prepare financially for your golden years. What are some other important factors to consider when preparing for old age? Leave a comment with your best retirement planning tips in the section below.